This course will provide you with the skills and knowledge to perform cardiopulmonary resuscitation (CPR) in line with the Australian Resuscitation Council (ARC) Guidelines. In order to successfully complete the course, you will need to engage in a series of online learning activities (eLearning module and quizzes) via the Catalyst Education learning portal, prior to attending a 3.5 hour face-to-face practical workshop. The idea of the workshop is to present first aid scenarios in a safe and secure but fun way to ensure that each learner has the best outcome. For full day workshops, we have a morning tea, lunch and afternoon tea break so that everyone stays fresh and focused! 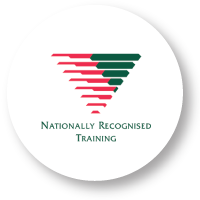 This course is designed for anyone who is required to hold a CPR certificate as part of their employment or needs to refresh the CPR component of their first aid qualification or anyone who would like to learn about CPR for their own benefit. To maintain currency, your CPR certificate must be updated every 12 months. You will then need to attend the practical workshop which includes discussions, practical activities and written tasks. Your trainer will also observe you throughout the workshop, provide support and assess your competency. The CPR component will need to be completed on the floor using adult, child and infant manikins, in accordance with Australian Resuscitation Council (ARC) guidelines.